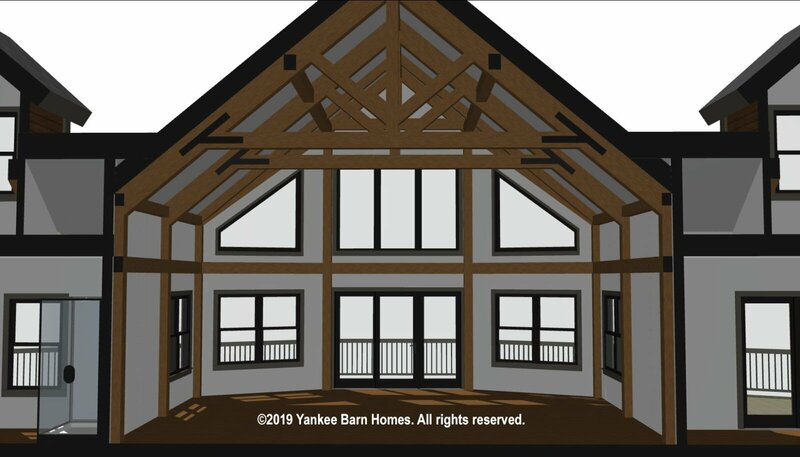 New Yankee Barn Homes design Pinnacle Point is underway. We never tire of saying these words. 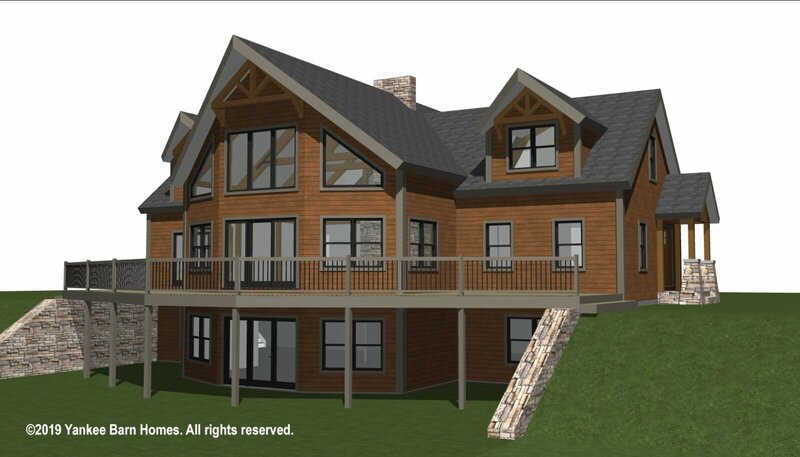 The design is a 3 bedroom, 2.5 bath mountain lodge style encompassing 3,493 square feet. 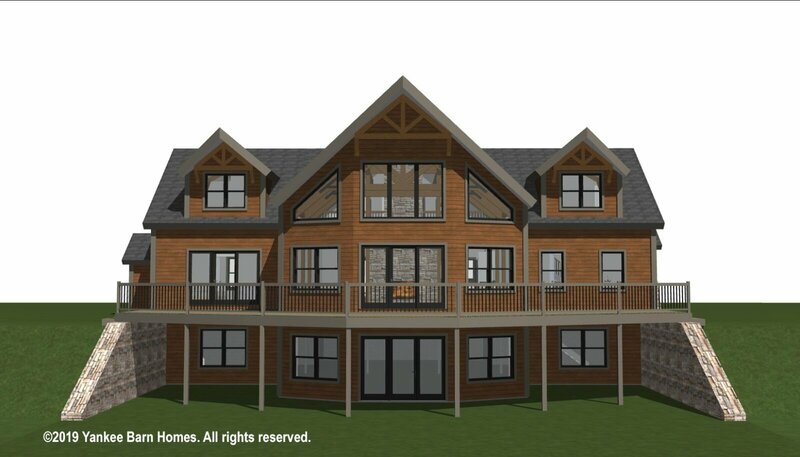 Pinnacle Point is in the same style category as Moose Ridge Lodge, Snoqualmie Lodge and Great North Woods Lodge. 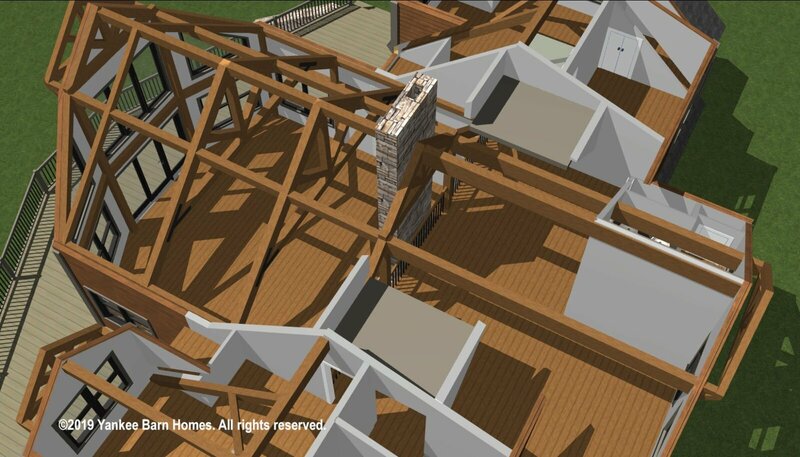 Post and beam architecture is on display in every room. 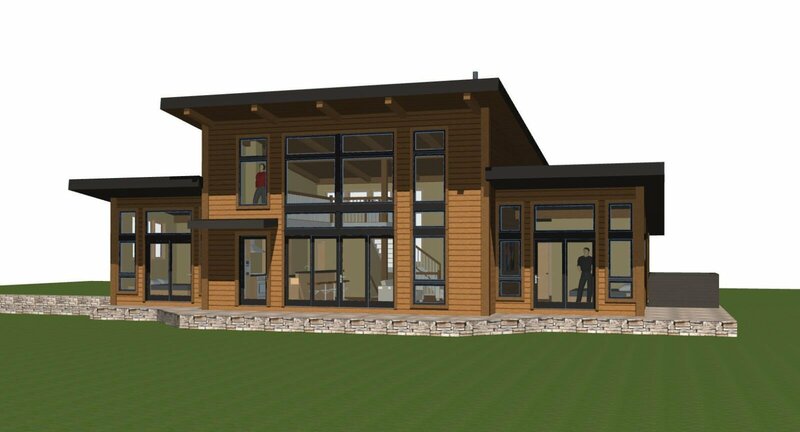 The center rectangle of the home contains an open concept kitchen/dining/living room. 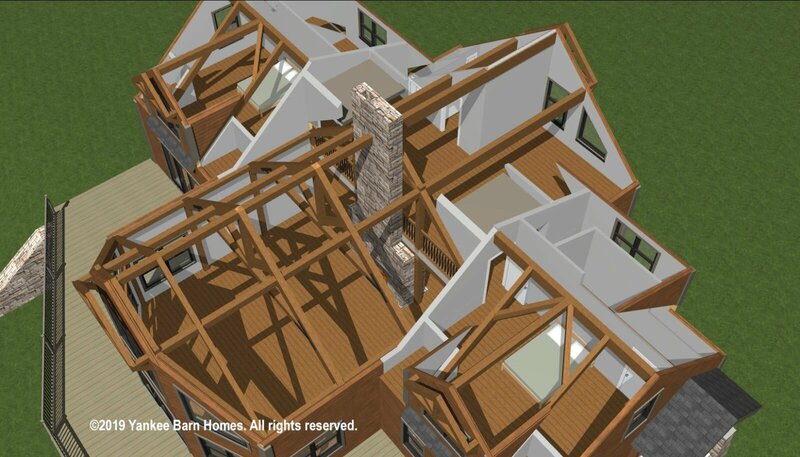 The timbered frame defines the space, culminating in a three-wall bow of windows. 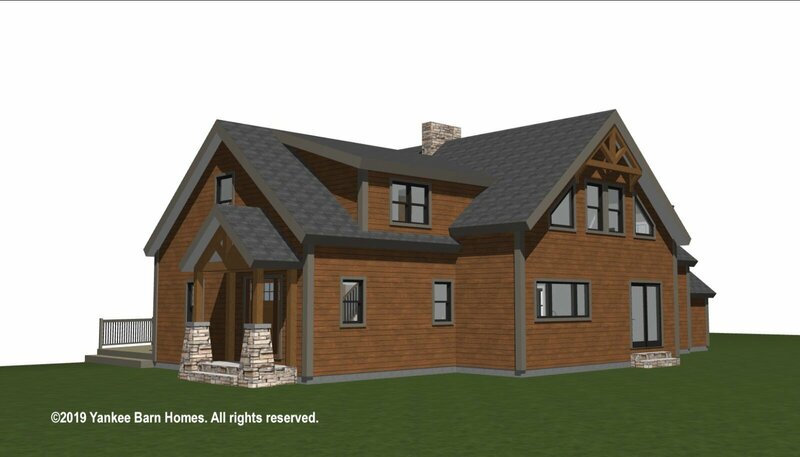 The mountain lodge style house accommodates age-in-place living. 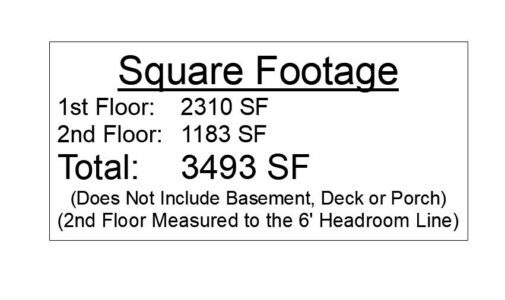 Everything the homeowners need is on the main level. 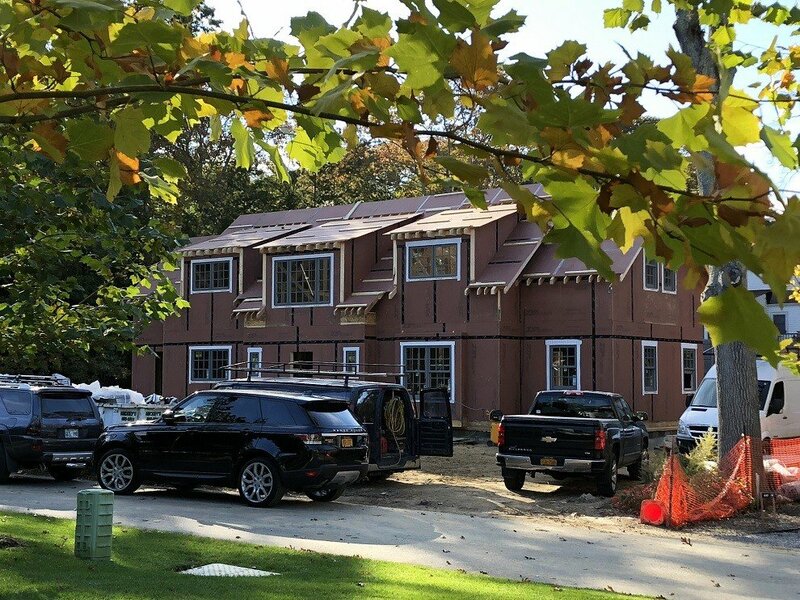 One ell houses the master bedroom suite while the other contains mudroom, stairs, storage, laundry, pantry and half-bath. 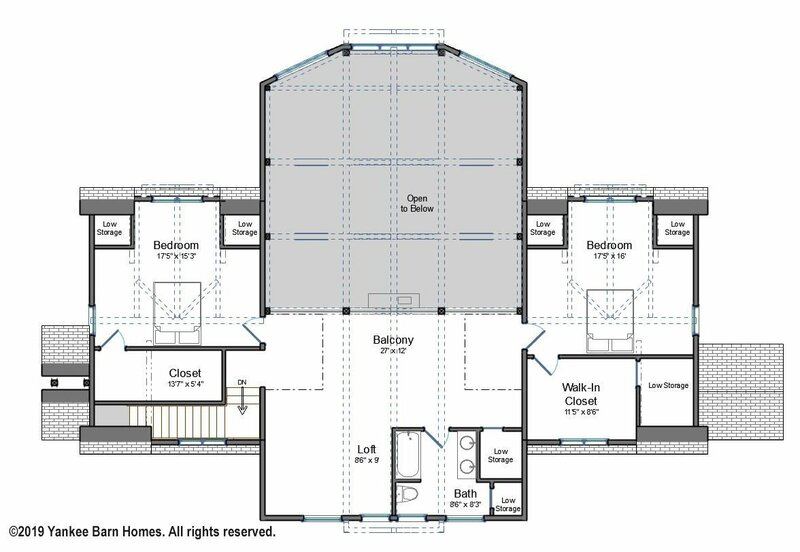 The second level provides two bedrooms, each with walk-in closets and knee-wall storage. 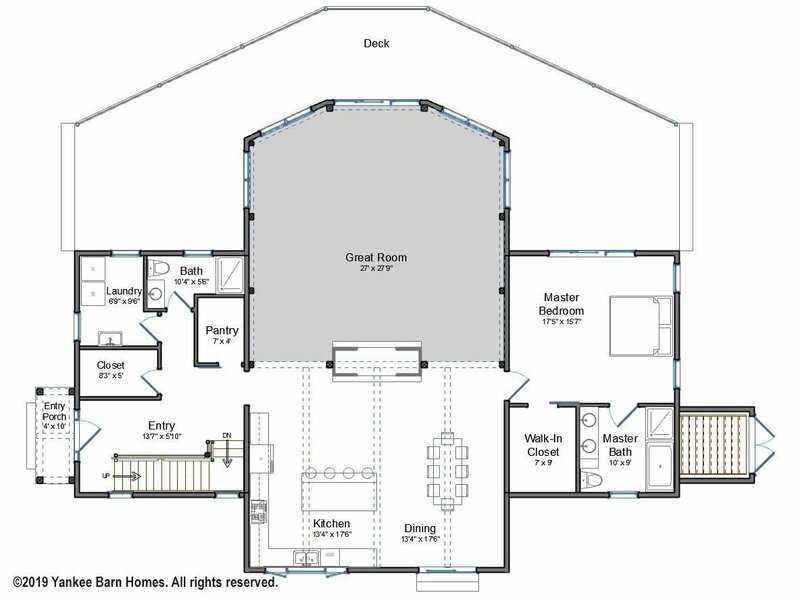 A large loft/balcony and full bath complete the space. 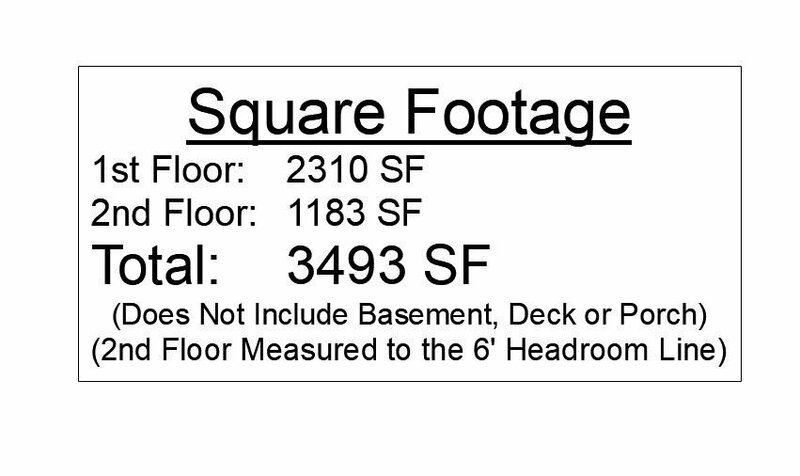 The lower level has a separate outside entrance and affords a number of options for expansion. 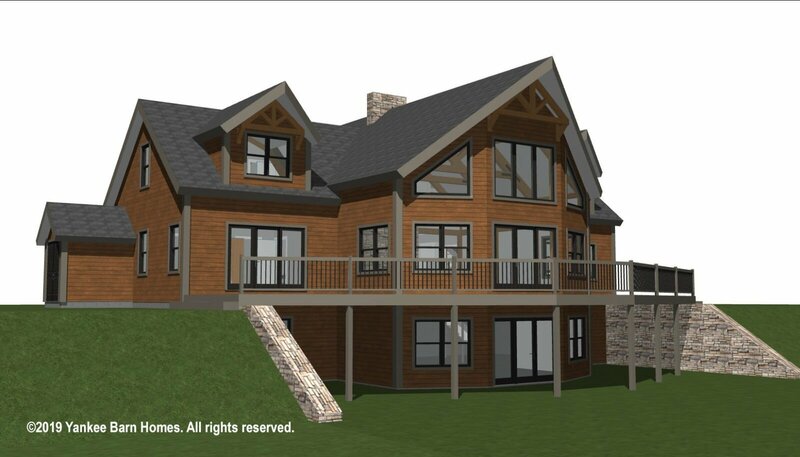 Pinnacle Point is expected to be built this year. 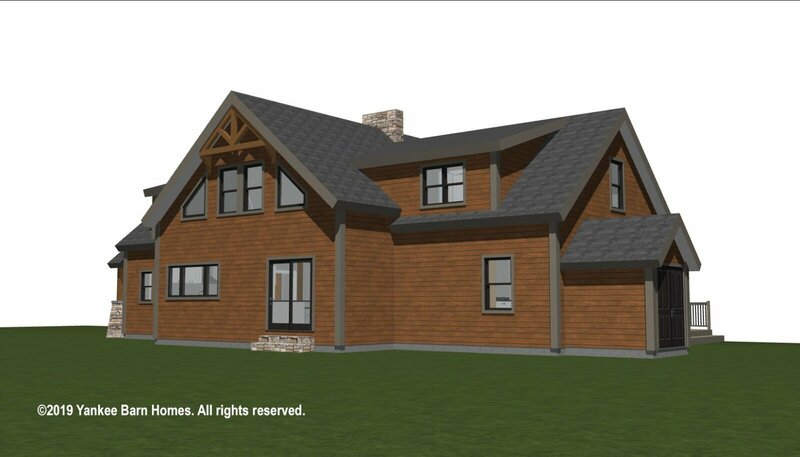 We look forward to following this mountain lodge style home with great enthusiasm. 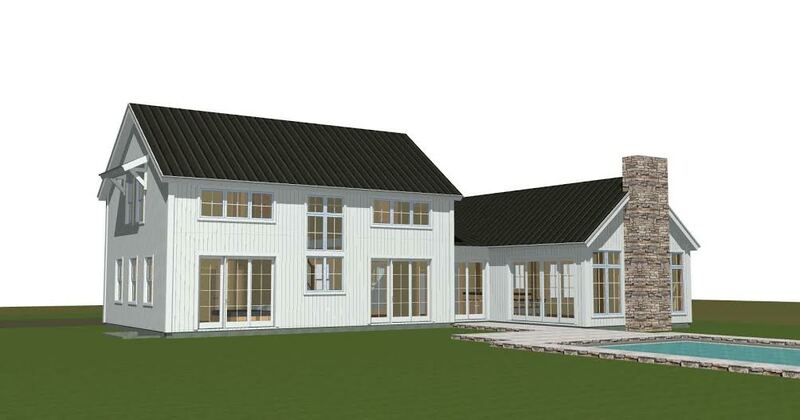 Menemsha Cottage is meant to recall the older cottages and bungalows on Martha’s Vineyard. Hill House is fresh; though it is born of a style that is decades old. This mid-century modern house blurs the line between indoors and out.